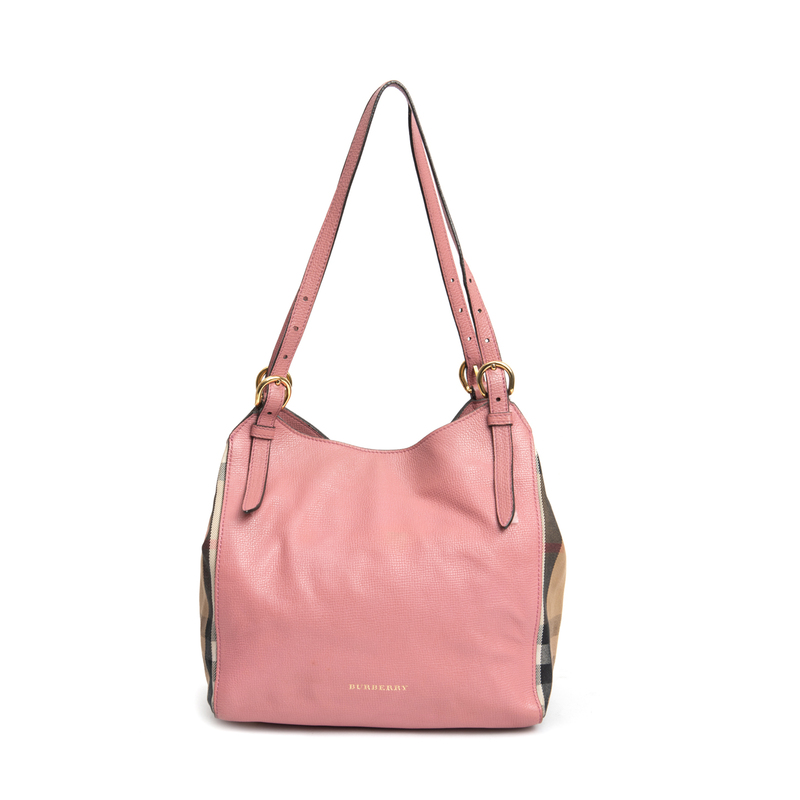 This Canterbury tote from Burberry is crafted from pink leather with their signature House check adorning the sides. 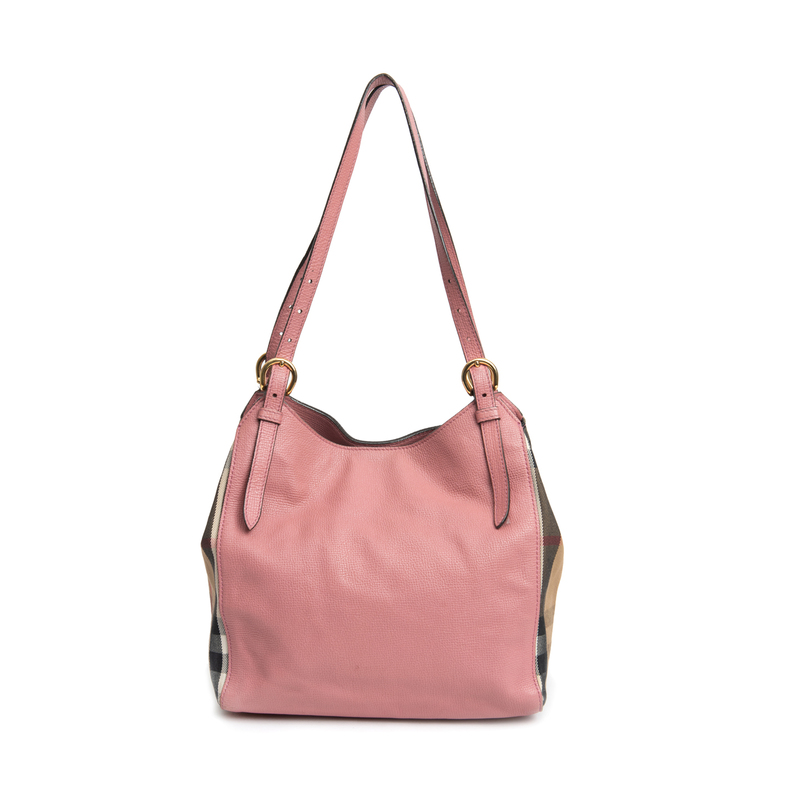 It has adjustable buckle shoulder straps, an embossed logo, and a leather stay fastener to cinch in the sides. 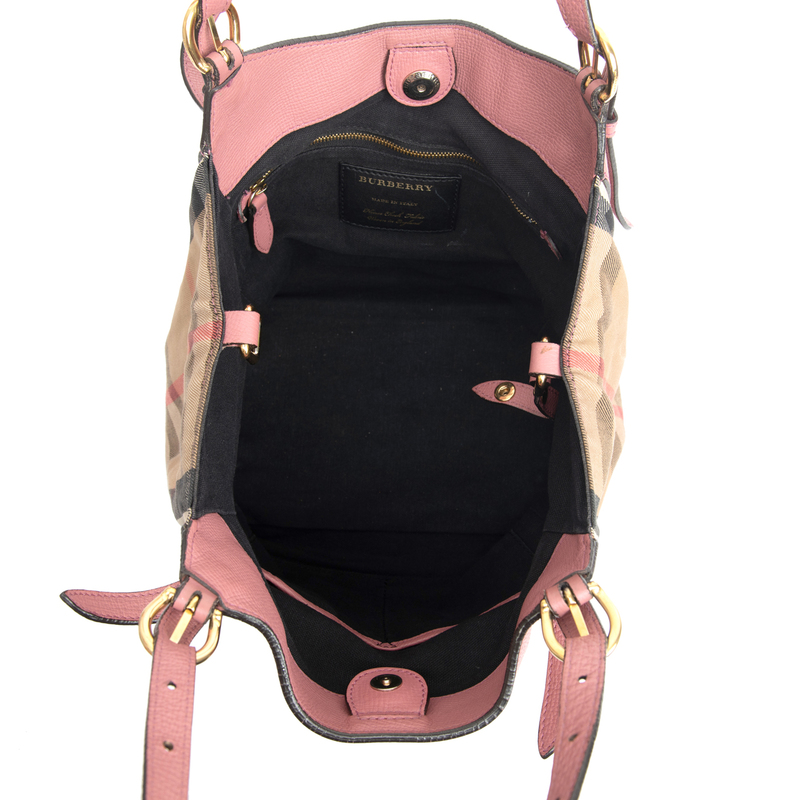 The interior has a black fabric lining with one zip pocket, one open pocket, and a snap magnetic closure. 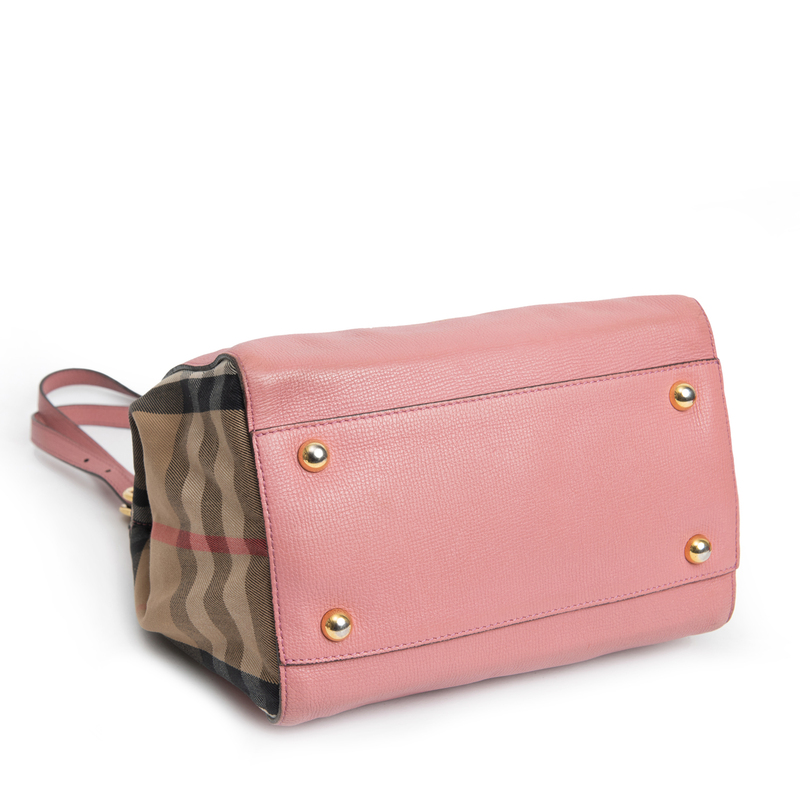 Simple in design, the bag is perfect for everyday use. 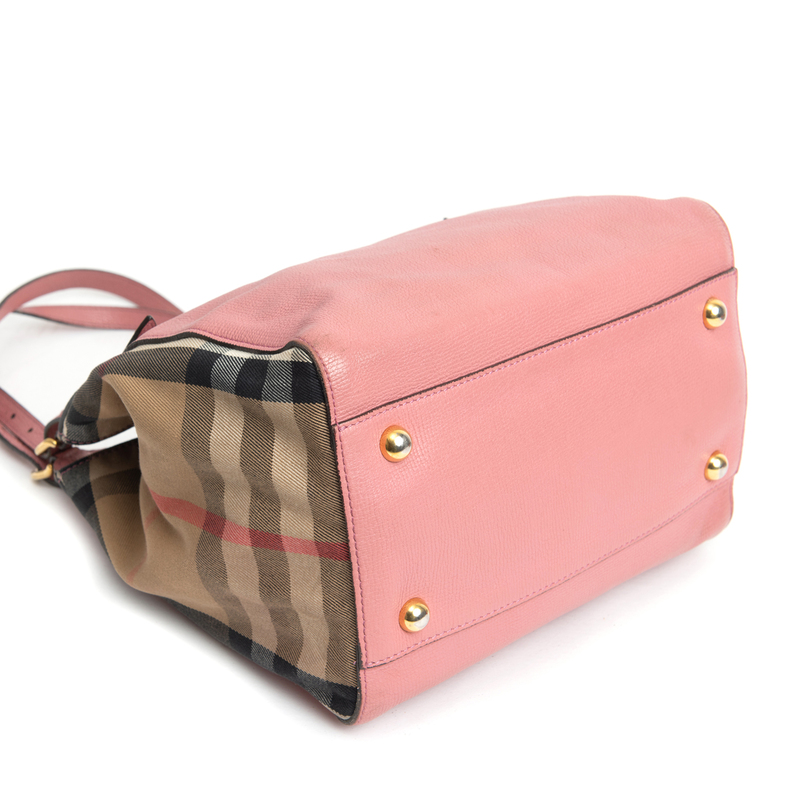 Exterior: There is wear on the corners of the bag. The piping on the handles is cracking. The bottom of the tips of the handles are curled. Interior: The black woven lining has stains. Hardware: The hardware has light surface scratches. The metal feet at the bottom of the bag have discoloured. 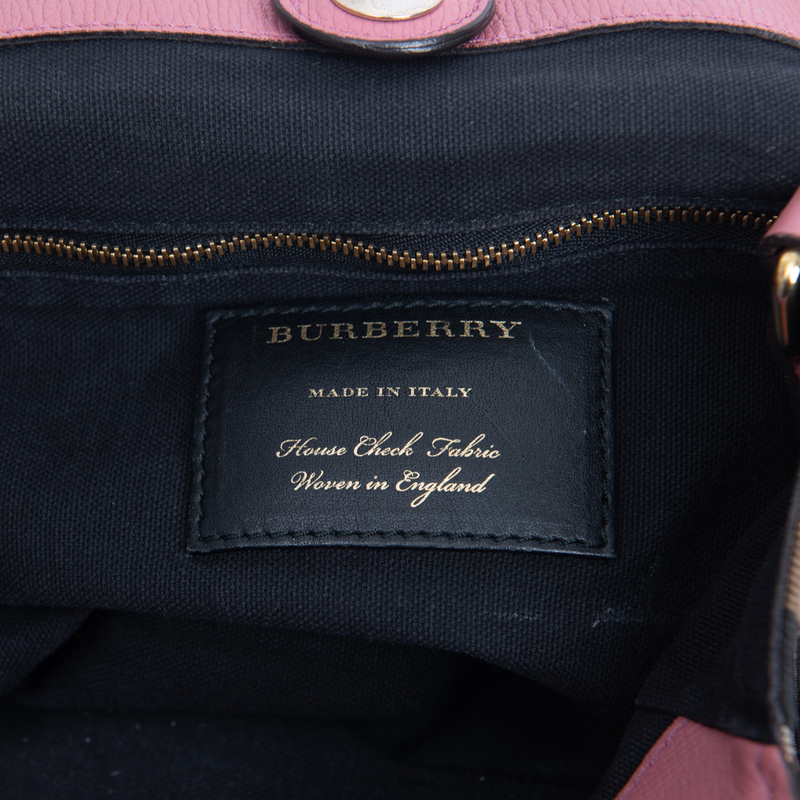 LabelCentric is not affiliated with Burberry. 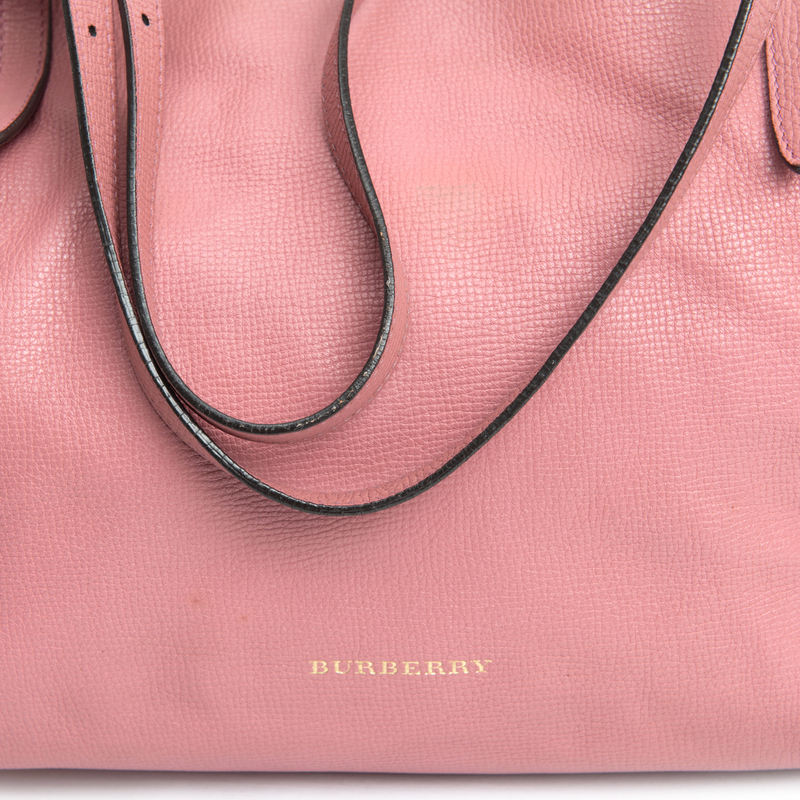 We guarantee this Burberry item to be authentic ( find out how ). 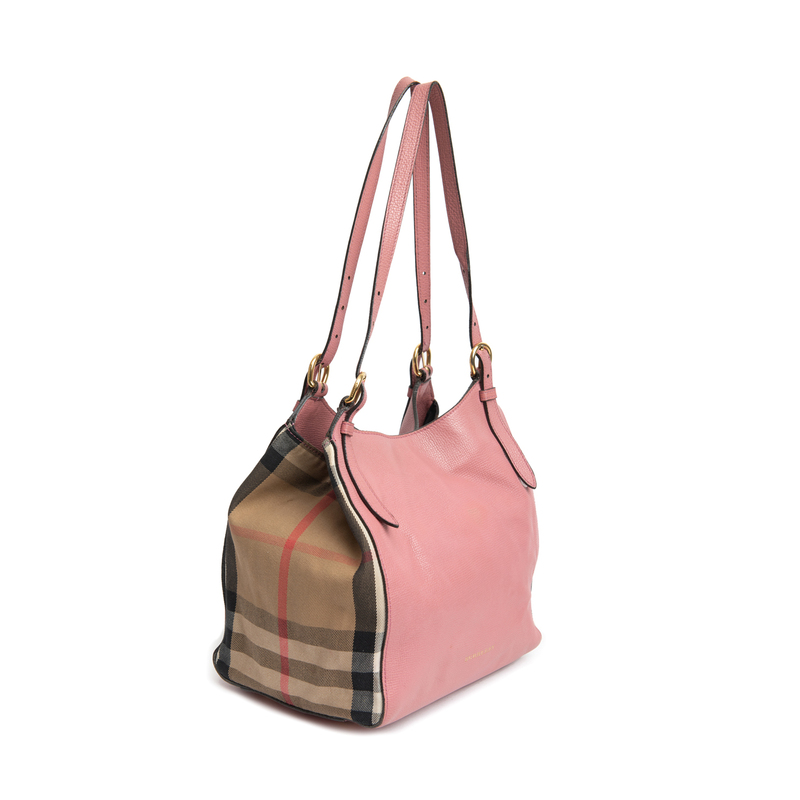 Burberry® is a registered trademark of Burberry.